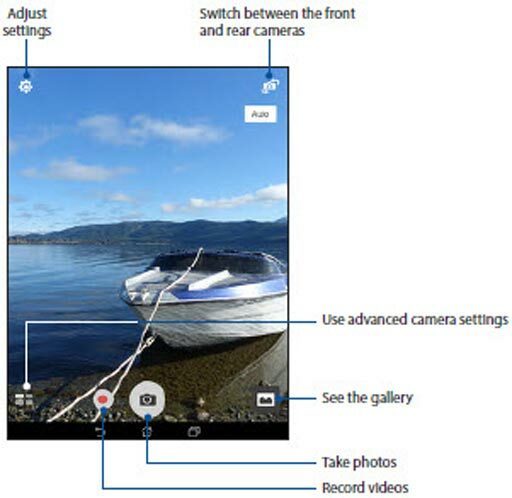 For additional camera settings, refer to the ASUS ZenPad Z8 user guide. Tap the Advanced Camera Settings icon (located at the bottom). High Dynamic Range: Combines photos or videos taken at different exposures for one optimal photo or video. Tap the Adjust Settings icon. 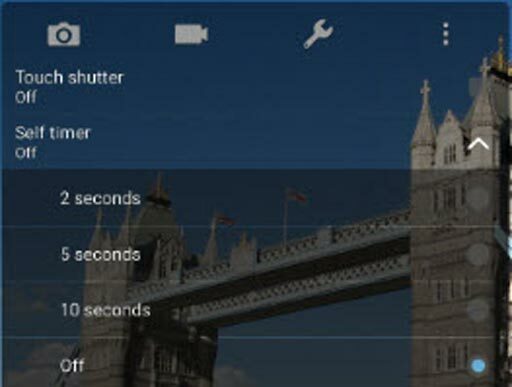 Tap the Camera icon then tap Self timer. Tap Set volume key as.